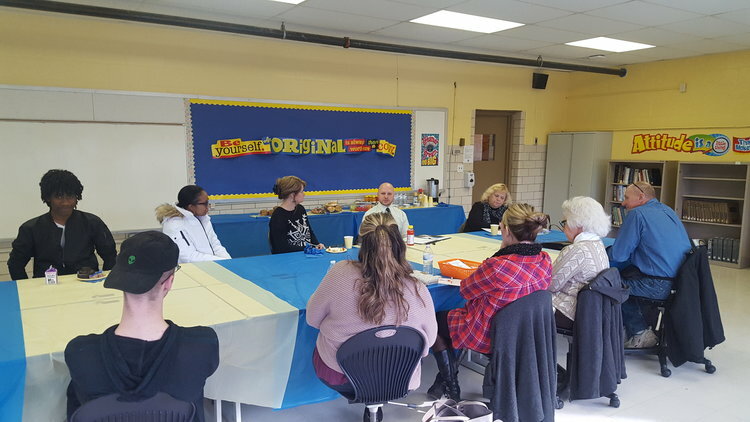 Stark High School had it’s first Community Coalition where ten different local services were present to network and share about their organizations. Breakfast was served and four of our students shared about the school and even stayed so the representatives could ask them questions. Later in the spring we have invited them to return for an event specifically for our young people. Those in attendance were, Habitat For Humanity, YWCA, Canton Calvary Mission, Stark Family Council, United Way, Stark Community Action, Comm Quest, Hannah’s House, and Pregnancy Choices.